This quote from Einstein is one of my favorites because it is absolutely true. But I have to admit that after all these years of trying to put this idea into practice honestly and whole heartedly, I'm learning to go about things differently when it comes to other people's business, even with right intentions. I spent most of my life trying to help people from harming themselves or others, and by going over things with them, hoping they'll be clearer about something. I've especially supported people who don't have a voice or who don't have anyone else to stand up for them. I really believed this was my particular, lifetime responsibility! In a way, I was practicing law without a license. How silly of me to be so daring! This familiar cycle of standing up for the right cause is now even more apparent to me in the upcoming presidential election. It's as though my entire life focus has been observing too many people not standing up for what's in this election. I seriously should have taken up law! This would have at least given me the proper degree and the training to help support the right causes and give them a voice for all those years! Instead, I have done my homework and research, and have found that, without a doubt, Hillary Clinton has a flawless and impeccable background. I'm with her. Nevertheless, even though the poll numbers seem to rise against us at times, I believe that right will win out in the end. I feel that there are more people who really know the difference between right and wrong, and will see the difference between the candidates, and vote intelligently and for the right candidate. Each time I'm afraid of what might go wrong in the election, I try to remember how this has happened to me many times before, and that grace always comes through in the end. My fears are also soothed by President Obama and other highly respectable, esteemed Americans who are supporting Hillary Clinton. Many of my friends, as well as fellow writers and authors, remind me that they are with her too and that truly, "We're Stronger Together." Please take a moment to pray and examine your conscience. If you observe, you might see that everything happening personally in our lives also can be seen on a wider scale in the outside world. I believe this is the true picture of our inner conflicts reflecting back into the wider view, because legitimate and mutual concern, without fear, leads us forward. 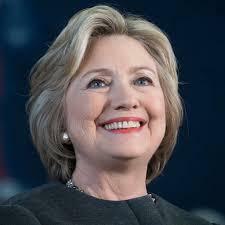 I am confident that Hillary's the real one with the authentic law degree, and her lifetime of experience will make things right for all of us! I trust her. She brings us hope! About Catherine Nagle: Catherine grew up in Philadelphia with 16 brothers and sisters, reared by loving, old school Italian parents. Catherine's artist father's works graced churches and public buildings; her mother was a full-time homemaker. A professional hairdresser, Catherine worked in various salons while studying the Bible and pursuing spiritual growth through courses, seminars, lectures, works of Marianne Williamson, and conferences, including the National Theology of the Body Congress. She is also an Ambassador of the Society of Emotional Intelligence. The mother of two children and now a grandmother, Catherine lives in Pennsylvania with her husband and son. She is the Author of "Imprinted Wisdom" and a contributor to Anne Born's "These Winter Months: The Late Orphan Project Anthology."